I wouldn’t put anything on my skin that isn’t safe to eat. After all, something on the skin will be absorbed into the bloodstream. So when it comes to face masks I make mine out of food. They not only smell delicious but are free from any nasties. They may not go on as easily and could make a bit of a mess, but trust me they make up for it by being effective and cost efficient. This is great for hydrating your skin and treating blemishes. Papaya contains a special enzyme called papain, this helps with shredding dead skin cells and having an even complexion. Many high end masks have it as an ingredient. This mask just uses the skin, so enjoy a ripe papaya and then use the skin to make this. This is one of those things I often make and drink most of it – then use the last bit as a face mask. White tea has a superior amount of antioxidants that help to repair damaged skin. The gel made when chia seeds soak is great for hydrating the skin and reducing inflammation. Use a good quality pure honey and get the soothing and moisturising affects. The oats help to reduce inflammation and smooth the skin. Honey is moisturising and has natural antibacterial properties so is great for prevention and treatment of spots. 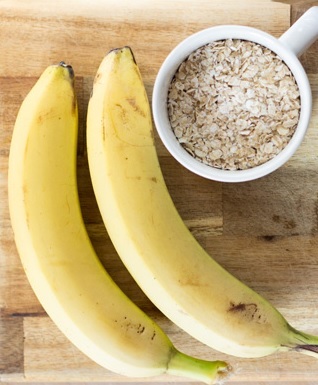 The banana adds antioxidants, moisture, potassium and b vitamins to protect against free radicals. In a bowl add 5 table spoons of oats, mix in about 100 ml of boiling water. Stir in a table spoon of honey and then mash in one banana. Apply liberally on your face, leave for 20 minutes and then rinse off with warm water. Sadly its far too easy to get over exposed to the sun, while a bit of sun is good for you too much leads to damage. The warm burning feeling on your face can be very uncomfortable and I created this mask one night when my sunburn was preventing me from falling sleep. It instantly cools and helps to repair the damaged skin. I used actual aloe vera, but if this isn’t available substitute it for a pure aloe vera gel. This is also a good mask for any damaged skin, I used it often when I had rosacea. 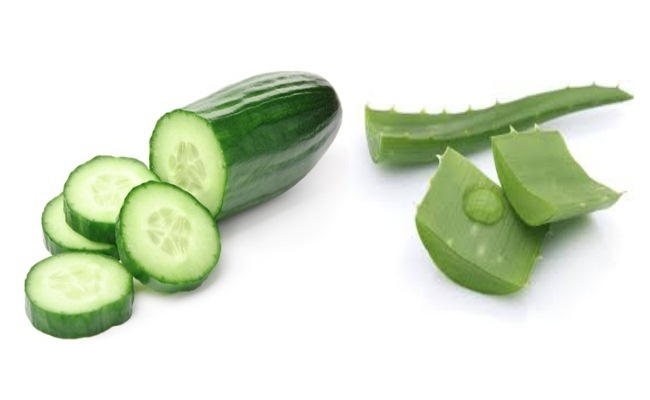 Peel 1/4 of a cucumber and a few inches of aloe vera for a 50/50 ratio of cucumber to aloe vera. Blend together using a mini food processor or hand blender, and add 2 table spoons of apple cider vinegar. Apply to face and leave for 10-15 mins and wash off with cool water. Its natural for it to have a slight skin stretching affect.